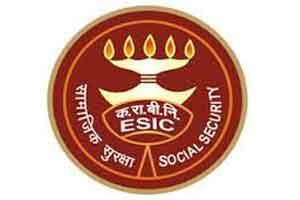 COIMBATORE: Prime Minister Narendra Modi said that the Employees State Insurance Corporation (ESIC) would expand its coverage with public-private-partnerships (PPP) while adopting two model hospitals in each state apart from a mother and child care hospital. He also said the government proposed to promulgate new EPFO and ESIC Acts providing more choice, increased coverage among workers and employers, and better and expanded range of services for organised sector workers. Inaugurating the Rs.580 crore ESIC Medical College and Hospital here. Modi began his speech in Tamil and then changed to English. “I am happy that ESIC proposes to expand coverage by complementing its own services with Public Private Partnerships,” he said. “Apart from cancer detection, cardiology treatment, and dialysis, the corporation also proposes to offer in a phased manner pathological and X-ray facilities in all its dispensaries through PPPs. Besides allopathic treatment, ESIC hospitals will also provide AYUSH treatment in a phased manner,” he added. Modi said among other initiatives, the ESIC has resolved to adopt two model hospitals in each state, apart from a mother and child care hospital. He said the setting up of the ESIC hospital and college is part of a larger plan to upgrade the facilities for medical education and specialised tertiary care. “We have also approved a scheme for upgradation of existing state and central government medical colleges to increase MBBS seats,” Modi said. Through this measure, the government hopes to increase 10,000 medical seats and support colleges with funds for equipments and infrastructure, he said. “So far 23 medical colleges have been approved to increase over 1,700 MBBS seats. I am happy to inform that four state government medical colleges in Tamil Nadu – at Coimbatore, Kanyakumari, Tirunelveli and Madurai – have been approved for upgradation by adding 345 more MBBS seats,” he added. Modi said the government is also setting up medical institutions like the All India Institute of Medical Science (AIIMS) across the country and one such institution has been approved for Tamil Nadu. He hoped the institution will start admissions soon. Speaking about the new hospital and college here, Modi said it will be a boon for the ESIC beneficiaries and their family members in and around the textile city. “Of the 100 MBBS seats proposed here, 20 seats will be reserved for the children of persons insured under the ESI scheme,” he said.